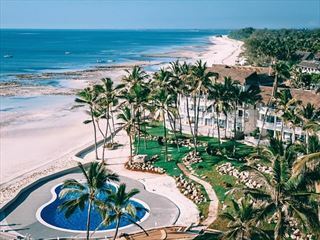 Adding a healthy kick to luxurious beachside living, Ocean Spa Lodge is an idyllic retreat offering relaxation and rejuvenation in unique ways. 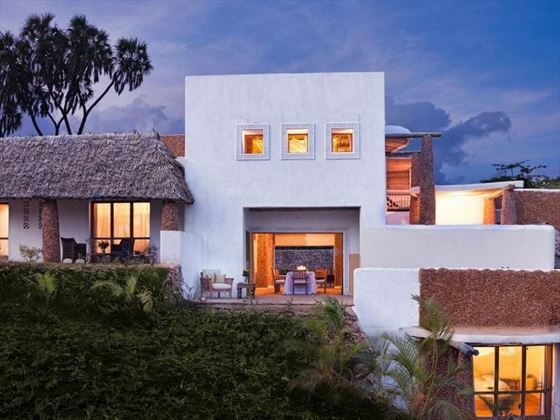 Nestled on a deserted beach along Kenya’s coast, you’ll enjoy total privacy and seclusion, giving you time to explore this hidden gem all by yourself. 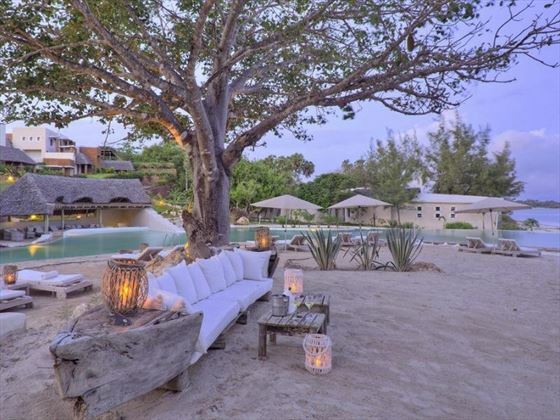 The main outdoor area is truly wonderful – from the breath-taking views of the ocean and the outdoor sofa created from an old dhow boat, all the way to the sparkling 1000sqm lagoon-style pool. Fresh, locally sourced cuisine is always on the menu here, and you can enjoy freshly-caught seafood from any corner of the resort, including by the pool, or on your own private deck. 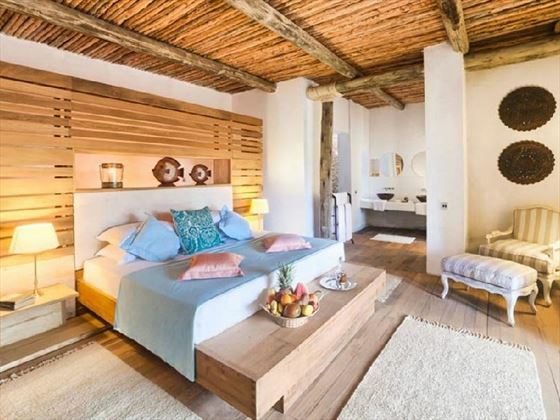 The suites here are spacious and airy, adopting an eco-chic style with hand-crafted furnishings and gorgeous terraces looking out onto the ocean. 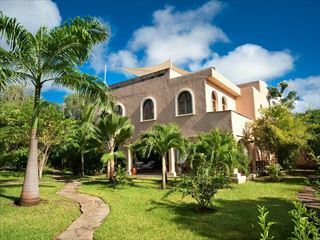 The resort is split into six villas, all of which feature two of the suites. 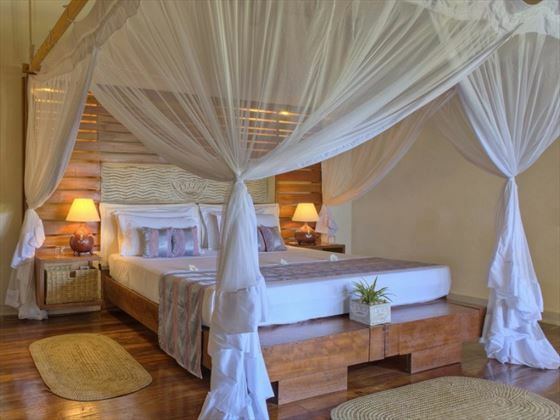 The main draw to this spectacular lodge is the Sarunity Wellbeing Spa. 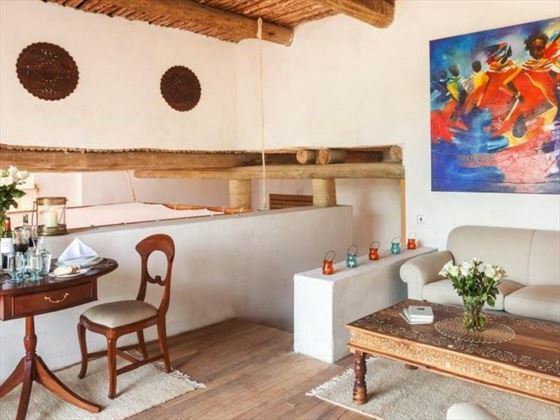 Blending ancient, traditional rituals with contemporary therapies, this is the place to be should you fancy completely unwinding and relaxing. Choose from one of the three holistic programs here: Maris – which detoxes the body, Vita – that energises and strengthens the body, and Equilibra – to restore peace. 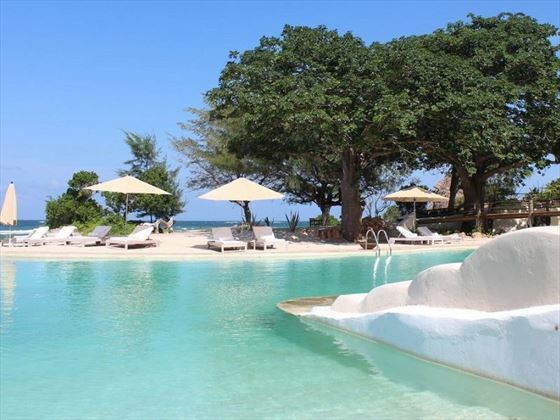 Ocean Spa Lodge is located on 4km of virtually undiscovered beach. 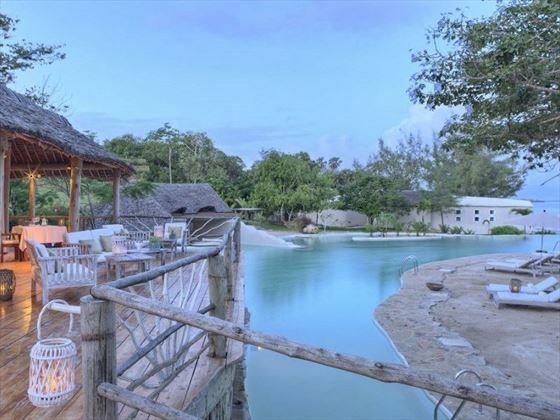 Part of Msambweni Beach, this private area is wonderfully secluded and intimate. 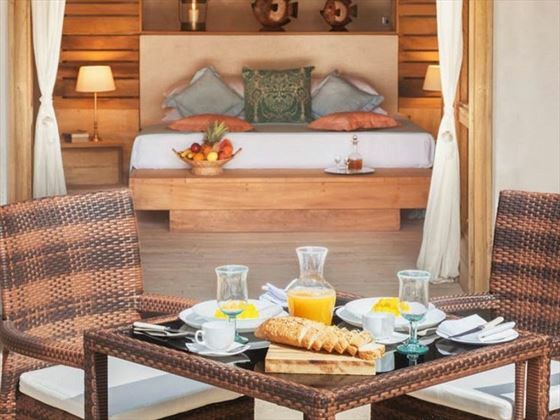 Double Suites – Gorgeous, spacious suites featuring the standard amenities, including a lovely terrace overlooking the ocean, and a cosy four-poster king size bed. Family Suites – Lovely suites featuring the standard amenities, plus an extra bedroom and bathroom. The perfect base for an adventurous family. 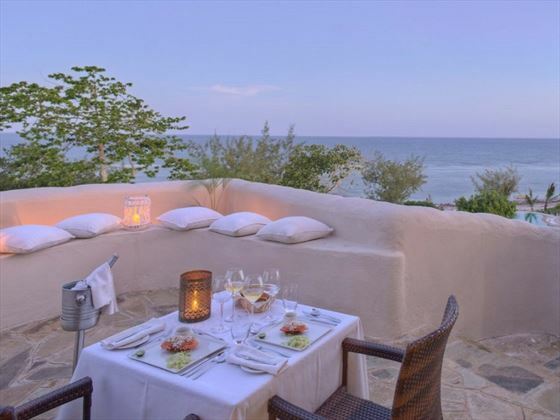 Ocean Spa Lodge prides itself on its flavoursome cuisine, created with fresh locally sourced ingredients and seafood plucked straight from the ocean. 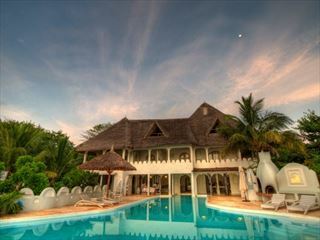 You can eat in various locations, including on your private terrace, or by the picturesque pool. Sarunity Wellbeing Space – This gorgeous spa focuses on relaxing the mind, body and spirit with holistic treatments that are inspired by ancient, traditional therapies and given a contemporary twist. There’s three programmes to choose from: Maris – to detoxify the body, Vita – to energise and shed what is not required, and Equilibra – to restore peace of mind. 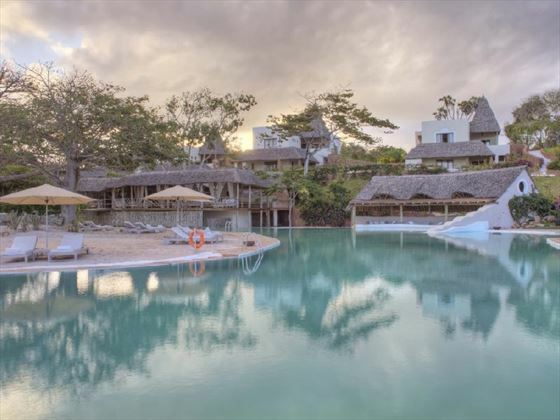 Water Wellness Circuit – Part of the Sarunity Wellbeing Space, this circuit is the first of its kind in East Africa, using water-based treatments to rejuvenate and revitalise, including Rain Forest Emotional Showers and a hydro-massage pool.